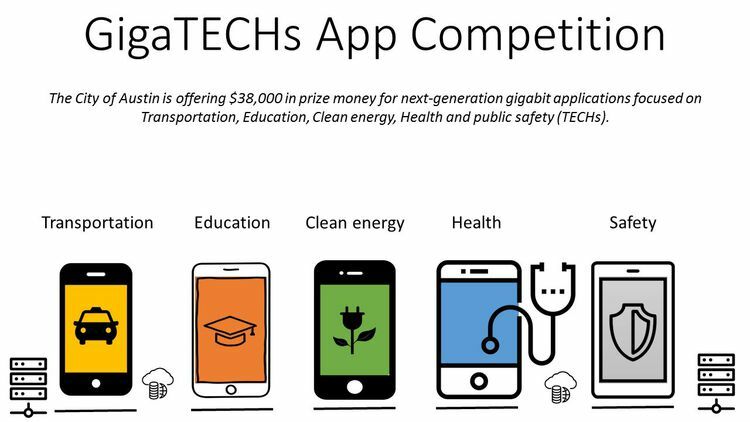 Austin area civic-minded app developers and entrepreneurs are invited to compete in the City of Austin’s GigaTECHs Competition. The competition is part of a broader nationwide initiative, led by D.C-based U.S Ignite, to encourage next-generation Gigabit Internet applications that provide transformative public benefit. Competitors will have the opportunity to win $38,000 in prize money to seed and support the development of applications that focus on opportunities in local transportation, education, clean energy, health and safety (TECHs). The prize money is made possible by U.S Ignite and the City of Austin’s Communications and Technology Management Department. The City of Austin is excited to announce the winning teams from its GigaTECHs App Competition: Just in Time VR and Kiwi Compute. What is the format of presentation? Note: This will be a strict time and you will not be able to go over. Presentation/Live Demo: Please feel free to showcase/live demo your entry within that span of time given. You will have internet and computer access and a projector will be available as well. If you need anything beyond the usual presentation setup, or feel you may need additional assistance, please let us know by August 25th. What is the order of presentation? Presentations will begin in alphabetical order by entry title (see below) and for 10 mins each (7mins for presentation and 3 mins for Q & A). If you will need additional time, please arrive between 5 and 5:30 PM. Otherwise, please arrive by 5:30 for check-in and setup. Head to the check-in table once you arrive at the floor location. What should I cover in my presentation? You will be judged similar to the past judging. Competition judges will reference these evaluation criteria and scorecard during their evaluations. Because these judges are experts in their field, they'll also leverage their experience and professional judgement when making their evaluations. You should craft your entry so that it aligns with what is being sought, as described in the criteria within the Judging Scorecard. What is the dress code for the event? Business casual - simply, a style of clothing that is less formal than traditional business wear, but is still intended to give a professional and businesslike impression. Will dinner be provided at the event? Are we required to stay for the entire event? Your whole team doesn’t have to be there the whole time. However, if you miss your allotted time slot you will miss your opportunity to present. Does the app have to be a mobile app? No, it does not - it can be any software application that leverages high-bandwidth, low-latency Gigabit Internet technology. 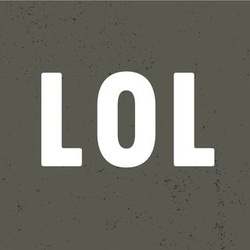 Do I have to register on HeroX.com to follow the challenge, leave a comment or register to compete in the challenge? Yes, but it’s quick and easy. Just click the “Join Us” button at the top of the page and follow the instructions to complete your registration. All you need to provide is your name and email address. Do I have to be in Austin, Texas to participate in this competition? To be eligible to particpate in this competition, a majority of your team members, 51% or more, must reside in the Austin metropolitan area (Bastrop, Caldwell, Hays, Travis and Williamson counties). 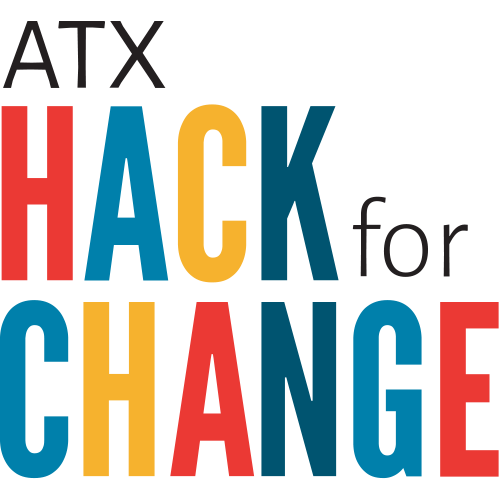 You may submit an idea, even if you're not in the Austin metro area, but your submission will not be judged and you will not be eligible for any prize money. May I submit more than one app idea? Yes, you may. However, if selected as a finalist, you may only move forward with the app idea that was selected. If two or more of your submissions are selected as finalists, you must select one to move forward with. The same team may not move forward into the finalist round with two or more app ideas. Do I need to have a registered business entity to be eligible to receive a financial prize? No, you do not. You can be an individual sole proprieter or existing corporation - regardless of entity structure or lack thereof, you can be eligible to receive the financial prize. However, you will need to register as a vendor with the City of Austin to be eligible to receive any funding. Can I submit an app idea that's unrelated to the focus areas? You should submit app concepts with a focus on: Transportation, Education, Clean energy, Health and Public Safety (TECHs). Submissions that do not align to these focus areas will lose points during the judges' evaluations. I have a question that was not answered in the FAQ. Who can I contact?